I shared on my Instagram that I was super happy to have set up the Accountable Kids system in our home, and my friend Mrs. Lo Tanner challenged me to explain more on my blog, so here it goes. Disclaimer: I’m not an Accountable Kid representative or affiliate. Please follow the link to their site for more info! I will not receive a dime if you click on the link. I was also not paid to give my opinion. I purchased this program out of my own pocket and this is just my honest review. My blog post is not to be considered as a statement from the company. But if you are like me, you can easily find yourself in this circle of repetition that wears us moms down to the bone. How much time have you physically spent reminding kids to do what doesn’t come naturally? If you have a child with ADHD you understand me. It’s not laziness or unwillingness. They just sincerely can’t remember a series of instructions over the course of the day. I read a couple of books on ADHD and, as far as discipline goes, the suggestion was not to “engage in battle” or “lecture” the child (as it just builds frustration and can be ineffective) but instead to develop habits through positive reinforcement and natural consequences. In the most basic description I can give, the program sets up chores on tickets they flip once completed. 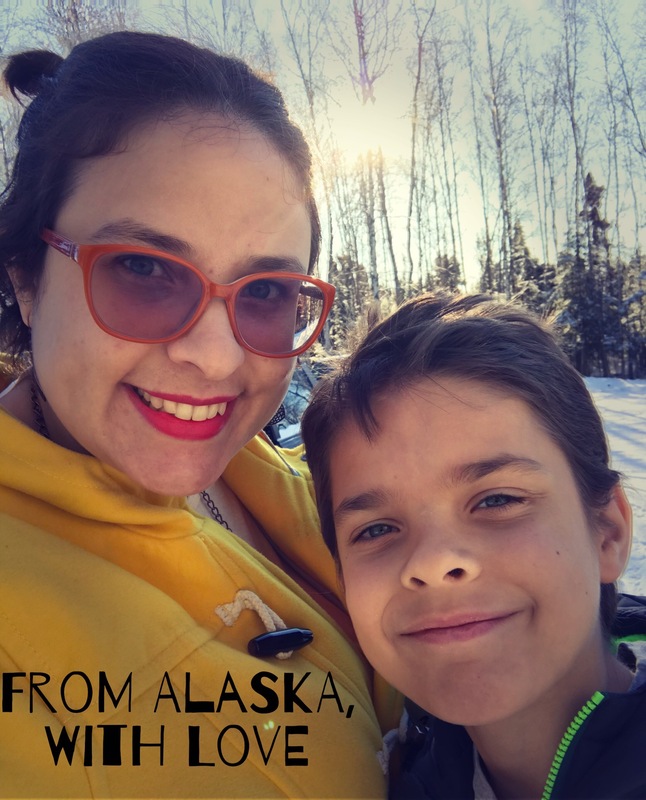 They get rewards in “tickets” for the chores they do – in my house, they can earn a ticket for completing all their morning chores, day time chores, and evening chores. I basically go through their flipped tickets and see if they did everything they were supposed to in the time frame alloted. Tickets are then used in exchange for rewards or privileges. Our family decided to use tickets on everything electronic (Family TV time, computers, xbox, pads, etc) and activities outside the house. So each ticket is 15 minutes and they need to have 3 tickets before they’re allowed to turn something on. If they want more time, they can choose not to spend tickets one day (not turn on an electronic device) to use another day. The chores are very simple. They have cards that say, “Brush your teeth”, “Take vitamins”, “make your bed”. They also have chores like, “Dishes”, “Mop”, and “pet care”. My kinesthetic learners don’t have to rely on memory for EVERYTHING. They go to their board, read the task, do the task, then flip to the “Finished” peg. In doing so I have eliminated HOURS of asking them to do things. It’s also effective because it doesn’t take away their volition; they can choose to not make their bed… then they don’t earn the ticket… then they have to go sit in their room while the rest of the family watches “The Flash”. The natural consequence of the system has lifted discipline off my shoulders too. Why would you spend money on this instead of setting up a chore chart? Chore charts are visual. My kids are kinesthetic learners. Chore charts show you the day or the week. That is visually overwhelming and distracting for children with ADHD. They only need to worry about one task at hand. Chore charts leaves me entirely responsible for providing the consequences of success or failure. With Accountable Kids, that responsibility falls entirely on THEIR hands! Chore charts don’t provide a tangible and immediate reward for success. These tickets provide that satisfaction even if they can’t “spend” that reward immediately. Chore charts have to be consistently followed through to be effective. Accountable Kids makes that easier on the parent. 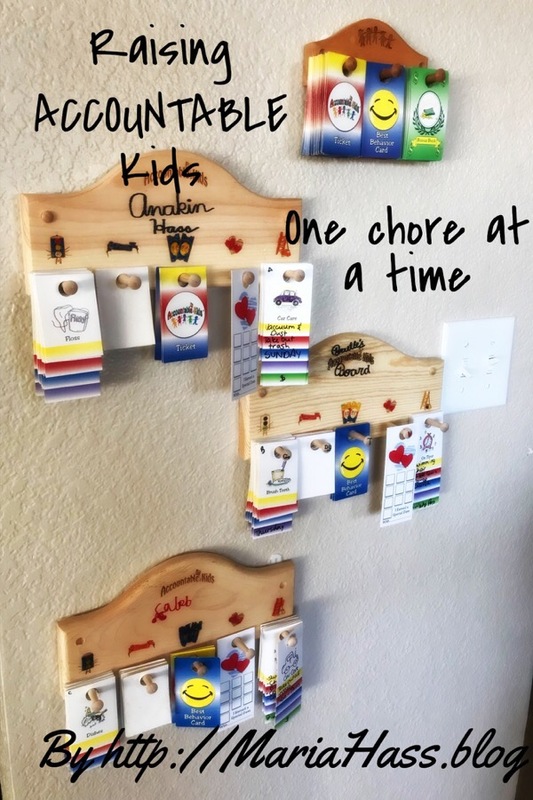 A Chore Chart is a list of things to do (how much do we like those as adults? ), Accountable Kids helps my kids feel successful and in control. I would say its a great program for any family and any child. It is definitely worth reading their book on it! If your parenting heart is like mine, we want to raise children who are responsible for their actions. We want them to take ownership of their contributions to our family so that as they mature, they’ll contribute to society! To that end, every family can strive to raise accountable kids. I think it’s a great system to help kids at all levels develop the accountability and discipline they so need! It’s great to have a reminder of what each kid needs to do, so that nothing is forgotten.